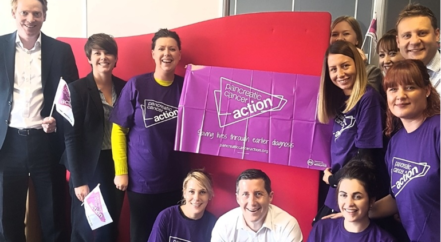 Support from our corporate partners is vital for Pancreatic Cancer Action, allowing us to raise more awareness and funds to help bring about much needed change for pancreatic cancer survival rates. In the UK, one person an hour will die from pancreatic cancer and sadly only 7% of those diagnosed will survive 5 years. This number has barely changed in nearly 50 years. With your support we can make a difference to these numbers. There are many ways you can support us, whether you are taking part in a one time team challenge or bake sale, or choosing us for your charity of the year. 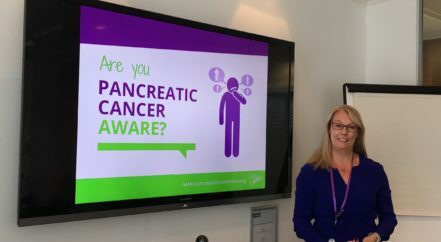 By involving your company you can help us raise vital funds and awareness and help us improve early diagnosis of pancreatic cancer and the quality of life for those affected by this devastating disease.